Can You Have A Cocktail, A Beer, Or A Glass Of Wine If You Have IBD? For people with inflammatory bowel disease (IBD), decisions about drinking alcohol can be difficult to make, particularly if it's not discussed during a doctor's appointment. Social situations where drinking is accepted, encouraged, and even expected are frequent in our culture. This is especially true for young people, and as IBD tends to occur more frequently in teens and young adults, drinking is an important issue for them to consider. It has not been proven that drinking alcohol can worsen the symptoms of IBD, but drinking has been shown to significantly affect the digestive system as well as the rest of the body. Read on to learn more about the effects that alcohol has on the body in general, and how alcohol may affect people with IBD and interact with IBD medications. The function of the liver is to break down toxic substances (such as drugs and alcohol) and filter them from the body. In addition to this important purpose, the liver filters the blood, synthesizes chemicals needed by the body, and stores vitamins, sugars, fats, and other nutrients. When alcohol is present in the body, the liver deals solely with ridding the body of the toxin. As a result, there could start to be a build-up of fatty acids in the liver. Alcohol can damage the liver by destroying or altering its cells and may even worsen an existing liver condition. Chronic liver disease is a serious complication of IBD that affects from 5% to 15% of people with IBD. Evidence shows that the lining of the gastrointestinal (GI) tract is irritated after drinking alcohol. The results of this irritation can include nausea, vomiting, diarrhea, and bleeding. These are also symptoms that people with IBD are already struggling to keep under control. Irritation of the upper GI tract will not affect IBD that's only located in the lower GI tract, though. Several medications prescribed for gastrointestinal conditions may react unfavorably with alcoholic drinks. In addition, medications put a strain on the liver's ability to rid the body of toxins, and alcohol can increase that straining. See the Table below that lists drugs commonly used to treat IBD or related conditions and the possible effects when mixed with alcohol. Are There Positive Effects of Drinking Alcohol? To complicate matters further, while drinking alcohol clearly has some very negative effects on health, and on the GI tract, in particular, there are potential positive effects. In addition to the psychological and social benefits of the occasional drink at parties, moderate amounts of alcohol may have some health benefits. Studies have indicated that moderate drinking (defined as 1 drink a day for women, or 2 drinks a day for men) may have a positive effect on the coronary system and help prevent coronary artery disease. The choice to drink is an individual decision that should be made after clearly understanding all the potential effects. 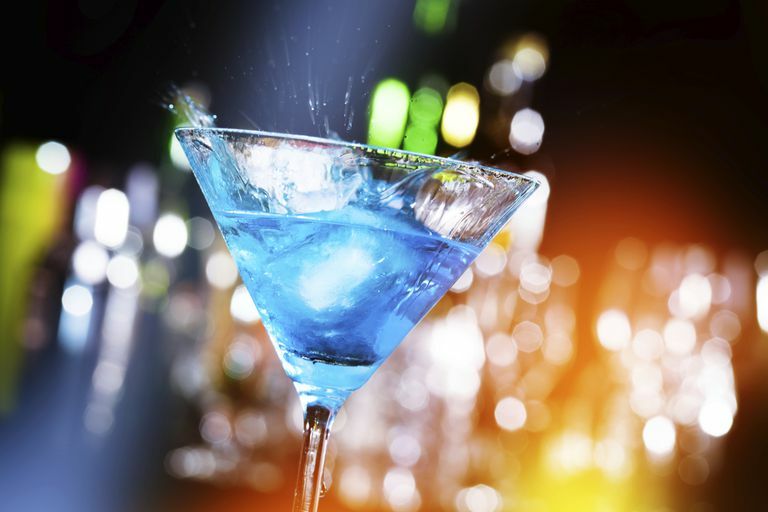 For many with IBD, an occasional drink may not worsen symptoms, but some people discover (primarily through trial and error) that drinking does have a detrimental effect. Additionally, the effect of alcohol on the liver, the stomach, and overall health should be weighed against the positive effects as well as the importance of social drinking to the quality of life. In some cases, drinking is clearly not beneficial to good health, especially in those who have liver disease, those who are experiencing a flare-up of IBD, or those who are taking medications that may interact negatively with alcohol (see above). If you have concerns about being able to drink socially and how it will affect your IBD, speak to your physician. Bode C, Bode JC. "Effect of alcohol consumption on the gut." Best Pract Res Clin Gastroenterol 2003 Aug;4:575-592.